Hijiri is the Class Representative and Reina's best friend. She is sensible and reliable like Tanaka. 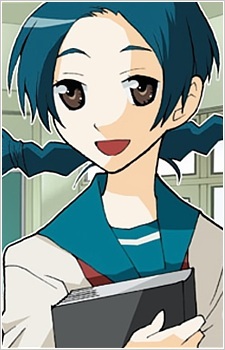 She develops a crush on Tsubasa Shiratori. When she tells Reina she likes Shiratori, Reina spends a few moments in denial asking her if she had fallen for another guy with the same name as Shiratori or if she had fallen for Shiratori's friend. When Reina is framed for tagging a wall with her name on it, the principal forces her to clean up. Tanaka and Hijiri help and paint is accidentally spilled on the tip of Hijiri's braid. Hijiri is calm about it even when it can't be washed out with water as it is an oil based paint. However, as soon as she sees Shiratori, she begins to cry. Shiratori fixes the situation by giving her a haircut and tells her it's cute(though he admits it sounds a bit conceited since he was the one who gave her a haircut). It is at that moment Hijiri is certain that she is truly in love with Shiratori.